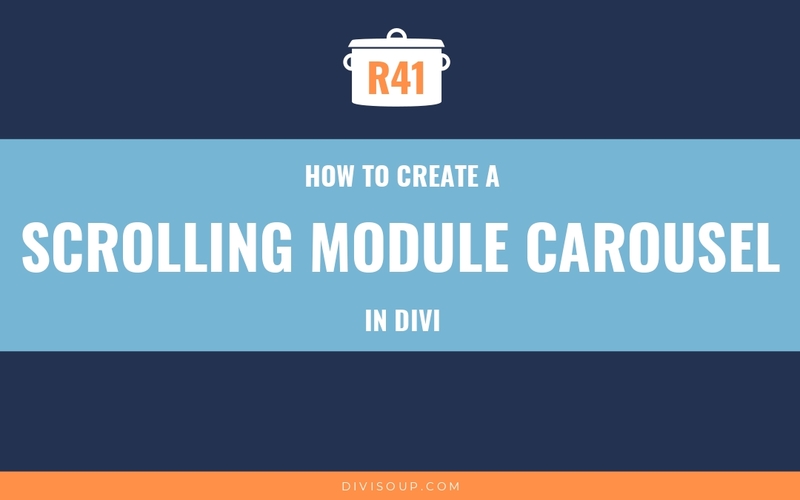 Recipe #23 – How to Create a Scrolling Image Carousel in Divi is by far our most popular tutorial, and it has gone through a few interations, both to make it more user friendly if you want to customise it, and also to keep up with Divi updates. Rather than update that recipe again (there are some issues in Edge), I thought I would take a new approach. A few months ago I decided I would officially declare no support for IE. Let’s face it, it’s always been a pile of  and even Microsoft doesn’t support it anymore, so why should we? Plus, the single best thing about not supporting IE, is the world of opportunities it opens up for CSS. Namely, Grid and Variables! Grid means we don’t need columns or floats, and Variables mean we don’t need to search through hundreds of lines of code to change values, keeping it super simple to modify for your needs. 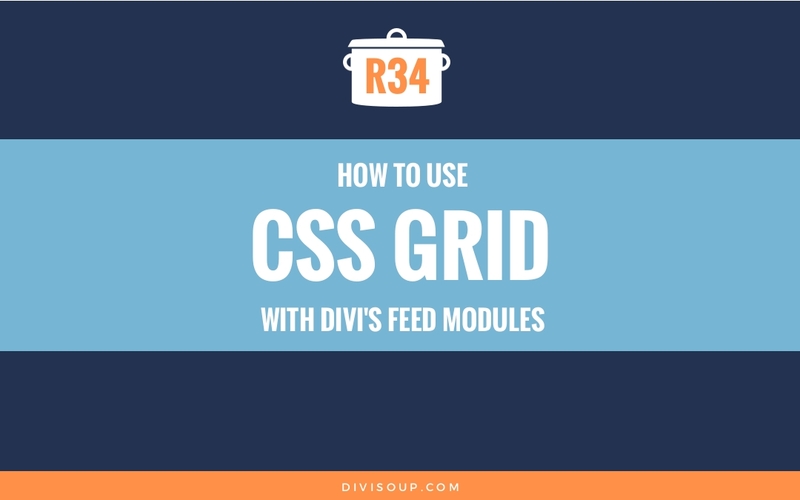 So, in this recipe, I am going to show you How to Create a Scrolling Module Carousel in Divi using CSS Grid and Variables, which will work in all modern browsers across all device sizes. And the best thing? Because it uses Variables, the only thing you have to do is adjust a few numbers to make it work for however many modules you want to display in your carousel, seriously, that’s it! And notice I said ‘modules’ and not ‘image’? That’s because this will work with (almost) any of Divi’s native modules. You can use an image, CTA, Button, Counter, Person, Testimonial, Blurb etc. etc., or a mixture of all of them. 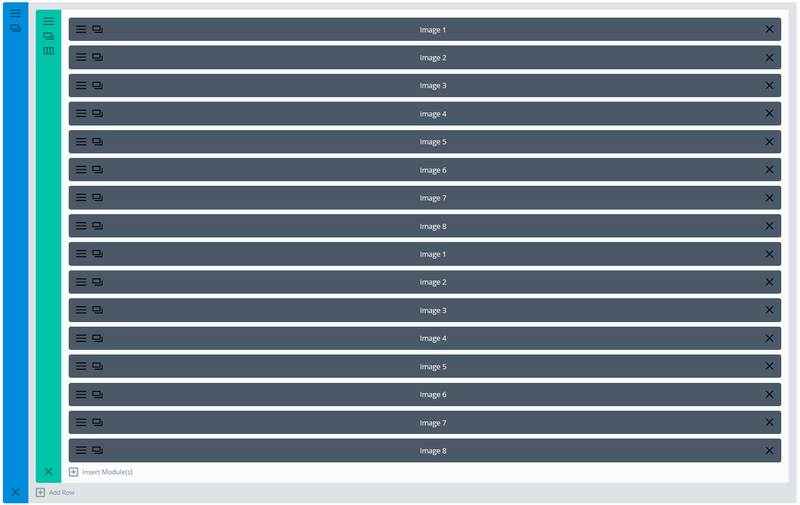 Then, in the Advanced tab, give the row a CSS Class of ds-carousel. Now Save & Exit your row. Ok, that’s out prep done. Now, in your row add a new module. I am going to use the image module for this recipe, but as mentioned earlier you have the option of using any of the non-feed modules. Because we have set this row to have a gutter of 1, there will be no spacing between each module in the carousel. If you want spacing, then add left and right padding within the module itself. You can then make any other styling adjustments you wish. Next, go into each module and swap out any content you need to. I have just added a different image for each module. Your second set of modules will need to be identical to the first set, this is what enables us to create a continuous scroll. 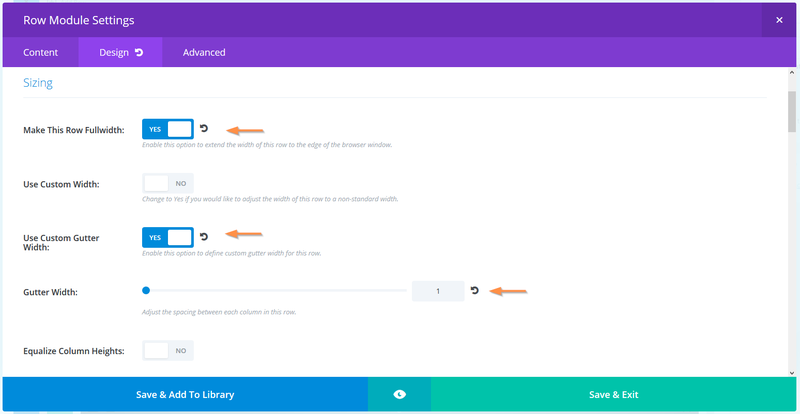 So if you change anything in a module in the first set, be sure to make the same changes in the corresponding module in the second set. Ok good, time for the fun stuff! Now this CSS may look a little daunting if you are new to Variables, but don’t worry, I am going to explain everything and then you only need to edit a few values and you’re done. If you haven’t heard of CSS Variables before or you aren’t sure what they are, they are simply a way to define the value of a CSS property in a single location, and then reuse that value throughout your CSS. So for instance, you may use a colour multiple times within a stylesheet, but if you wanted to change that colour later, you would need to change every instance of it in your stylesheet. But with variables, you define that colour in a single location, and then just refer to that variable throughout your stylesheet, so when you change the value of that variable, it changes the colour everywhere. Cool eh?. So first, let’s go over what we are doing. Our first section is where we set variables for our carousel content, layout and speed. The rest of our CSS will refer to these variables and these are the only things you will need to change. We then set some device specific variables using calculations from the variables we set in our first section. 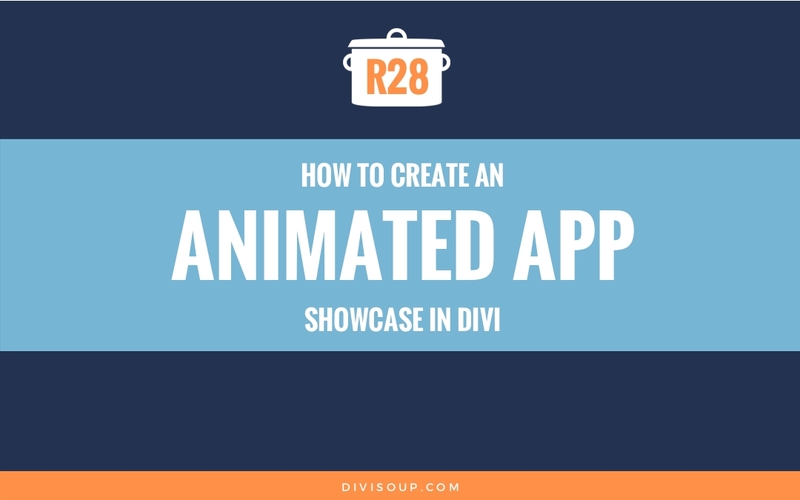 This allows us to adjust the number of items shown on the screen and the speed of our animation for desktop, tablets and mobile. Next, we hide any overflow for our carousel to avoid a horizontal scrollbar. We then set the container to display as grid, allowing us to define the number of columns by pulling in the values from the variables we set in the first and second sections. We also define the width of each module from our variables. This is our actual animation, we move the carousel from its starting position to its end position based on the values of the variables we initially set, and because we used ‘infinite’ in our animation settings above, it will continue indefinately. And finally, (this section is optional), we pause the animation when the user hovers over our carousel. 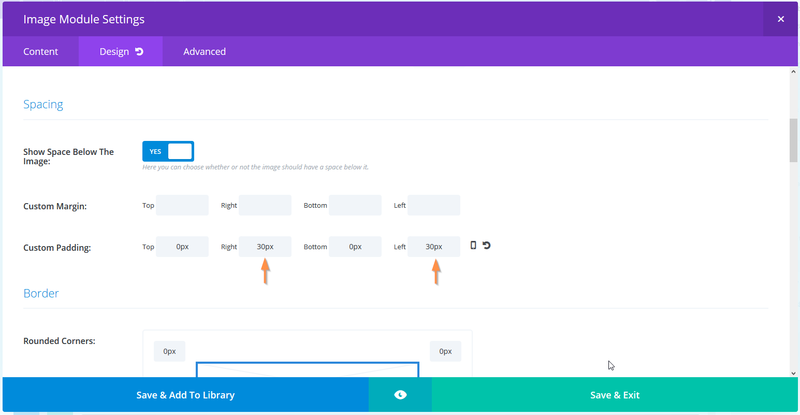 Copy all the CSS from the toggle below and paste into your Child Theme Stylesheet or Divi > Theme Options > Custom CSS. The CSS provided is for a carousel of 8 items. 6 showing on desktop, 4 on tablet and 2 on mobile, all with a speed of 30s, this is the time it will take for our 8 modules to move completely across the screen. When we set our carousel up, we created our modules, and then duplicated them once, so with 8 unique modules, we end up with a total of 16. The next 3 variables define the number of columns for desktop, tablet and mobile. If you resize the window in the demo you will see that the number of modules that fit on the screen on tablets and mobile is less than desktop, so these variables are where you define how many you want to show for different screen sizes. And finally the speed of the animation for different screen sizes. I have set these all to 30 seconds as I think its a reasonable speed that works well across device sizes, but I have added 3 options for you in case you want them to be different, just change the 30s value for each variable, increase it for a slower carousel and decrease it for a faster carousel. And that’s it! 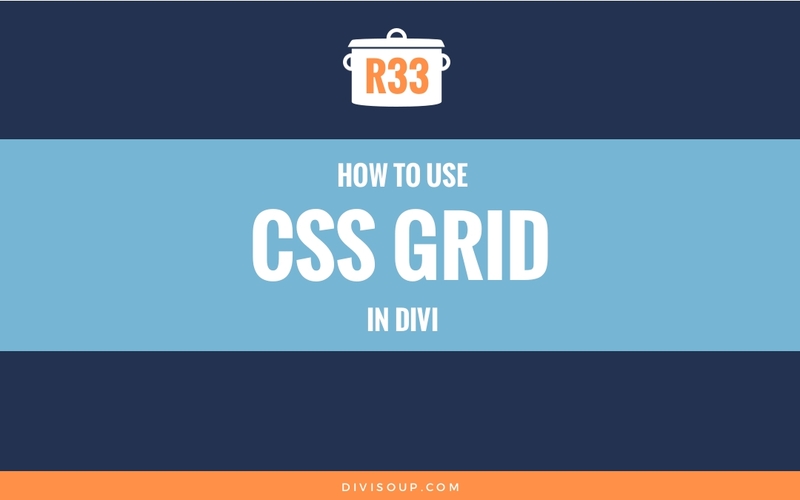 You can use CSS Variables with literally any CSS property to make customising and changing your code quick and easy, and CSS Grid will open up a whole new world of layout options for you, check out my intro recipe to using CSS Grid with Divi here. Hi Michelle – Thank you so much. I had used recipe 23, and it was not working, so I was happy to find out you published a new recipe. It is beautiful, well explained and it works. I’m getting parse errors (RBRACE required) in the root section and then some warnings on a few items after that. I’m running the most current version of DIVI on WordPress 5.0 with classic editor. I can’t share my site – it’s in staging at this point. Don’t worry, they are all false positives because the editors are not recognising more modern CSS properties. You can ignore them. I can’t tell you anything without a link to the issue. Great tutorial, but I’ve found it does not work on Chrome for Android. Thank you for posting this tutorial! Love it! Works great in Chrome and Firefox… Except in the Safari browser the logos do not start to scroll until you mouse over the logos. Any advice? Thanks! Hi Michelle, Is it possible for the images to be clickable, and when clicked on, the image expands? I have looked at https://www.elegantthemes.com/blog/divi-resources/how-to-create-a-clickable-carousel-of-divi-modules however, I want to a moving/scrolling carousel like you have here, not one that people have to click to scroll. Is it possible to have 2 different carousels with a different number of images on the same page? 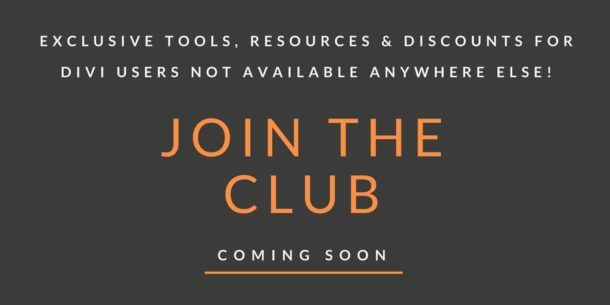 For example, I have 25 partner logos and 10 certification logos I would like to have on an About page but I would like to showcase them separately. Thanks! It’s the initial part with :root that kind of confuses me. You need to change the whole class name everywhere, So if it is ‘ds-speed-desktop’ for example, change it to ‘ds2-speed-desktop’ and change every instance. 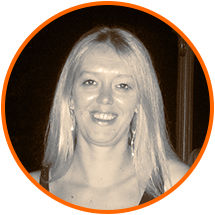 Michelle – I’m getting 17 Expected REBRACE errors using the copied code. Is it most update to date and is there something I can fix? They are false positive because the code editor is outdated, you can ignore them there is nothing wrong. Is there a way to have this same, basic carousel for two carousels on the site, different carousels on two different pages? I can duplicate and rename the variables, but the “@-webkit-keyframes scroll” and “@keyframes scroll” elements in the CSS are not specific to ds-carousel so not sure how to duplicate. They are specific, they are using variables within the keyframes, so you need to change those also. Thank you so much! This is really great! Hi Michelle, Thanks for giving the community this code…. I noticed that sometimes the images don’t load in the carousel and instead display vertically at a large size down the page. This can happen in Chrome but also on a client’s monitor (embarrassing!) and on a test in Browserstack. My original media images are sized to 300 pixels. Should I make them smaller? When they do display correctly, they are at the size I want. My website is https://perugicom. Great tutorial – fast and easily done. Works perfect – Thanks! Hey Michelle! I love you!! Thank you so much! It works perfect! Is it possible to – when we click on some logo – open it like a gallery, and quickly go through the logos, without waiting for it to scroll alone. OMG!!! Spent all morning messing with a plug-in that I PAID for. Took a few minutes to set this up and it works great – unlike the plugin. What a great tutorial. Not only do i now have a smooth scroller i have learned what css variables are. Thank you for this tutorial! It was easy to follow and set up. It looks great on the site that I’m building. Great tutorial, thanks! 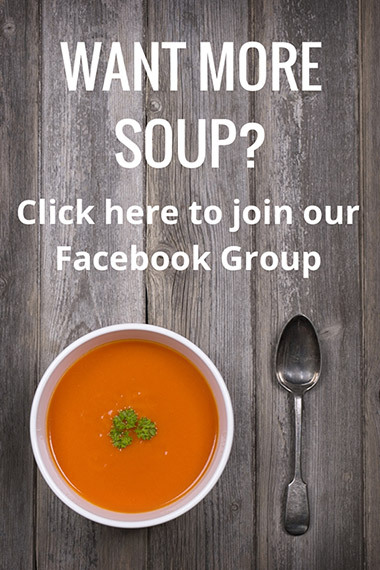 All my logos are the same height, but vary in width – however, when displaying on my page, some logos are being shrunk both vertically and horizontally to fit an image container that is the correct height of my source images (58px). See here, https://drive.google.com/file/d/18YyyqiOO34ueHk5ddwMIZRblGKjXdOZ-/view?usp=sharing, the Syracuse logo should be the same height as the others (which would make it much wider – that’s OK). TIA! Yeah. If they are not uploaded consistently in height and width the will get resized to fit the area and look really bad. I had to not use it on one site because I didn’t want to take the time to resize and re-upload the logos again. Great! I will check it out. Thank you for this Michelle, I love this revolving carousel! it’s fabulous. I’m designing a site and this carousel looks great on Safari and Firefox. I can see you have had comments here about IE, is there any update on when you might get the code worked out for this? IE is a depreciated browser that has not been supported for quite some time now. No additional code will be provided for it in any tutorials. Thanks for this information Shay, I’ve only every used Safari on a Mac so don’t know much about IE. I do have another problem with the carousel though but only on Chrome. I’ve loaded up 10 images and only 4 show. The others come up with the file name and when you click on them it says won’t load. I’ve checked all the images and they are all the same jpegs and very small files. Do you have any suggestions on why this might be happening? Sounds like the files may be corrupt or something went wonky when uploading. This happens sometimes with WordPress. I would delete them and try uploading again. After that, test the image URL to be sure they open properly. If they do, you should be good to add them back to the carousel. Seems like there is errors showing in the CSS in the Divi Custom CSS. Says RBRACE is expected with –ds-column-width: auto; If I remove one of the hyphens in front of “ds” then the error goes aways. So do I ignore the error? What do you mean override? You mean just ignore it? Correct – it is the only option at the bottom if you are using the WordPress editor with your stylesheet. Ok. Well I’m using the Divi CSS editor and it’s flagging it as a red “X”. The warning I ignore but wasn’t sure. It works anyways. Just curious. CSS changes by the day it seems – they just haven’t caught up their validation rules, which is understandable. Is it possible to make the carousel run only on hover? 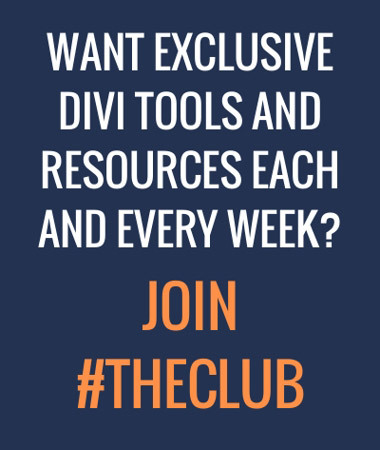 Michelle, I’m a little late in commenting but wanted to thank you for this fantastic Divi based “tool”. It worked great on a site was I working on that had multiple partner logos just stacking up in rows and columns. Thanks so much for making this available. Awesome tutorial! For some reason, on my website, the grid is not responsive though. I copied the code into my child theme, left it “as is”. I get the same number of modules displayed independent of device (so it’s one long row of logos displayed on phone as well, instead of stacked columns). What could be the reason? Thank you! Thanks for the tutorial! Slider is working. I got a question I cannot figure out. I would like to add another slider with less modules. What should I change so the CSS select the right slider? There is no need to change anything to use less modules, but if you are using only a few, there is no reason to have a slider. Can you make the logos grayscale, but then colored on hover/click? I really like this slider. The link is to a 404 page. Did this happen when you were just resizing the screen on your computer, or did you observe it on actual devices? Is it possible to apply this to blog module ( grid ) to create sliding blog posts? like sliding little cards with read more buttons? I tried replacing image modules and it almost worked. But I couldn’t figure how to reduce space between two cards. You can use the blog module, but you’ll need to ensure you have properly sized images and will likely need to adjust the padding and width of each. 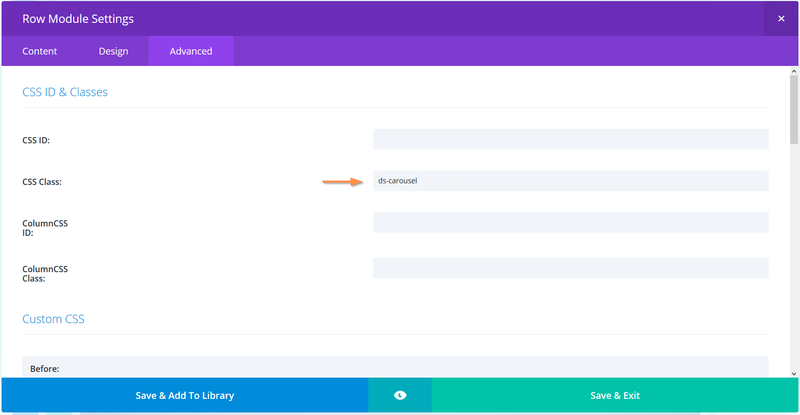 Sounds like you’re maybe not adding ds-carousel to the row class correctly – if you can place back on your site and share a link here we can look. Unfortunately, we can’t install this for you. Thanks for that. Can you update me when you have a fix. Works fine on edge for me! Hi, I love this carousel…it works perfect. I am having an issue on IE with it. It stacks the images vertically along the side. Is there a work around for this? Yep, thought I included that but obviously didn’t lol, thanks for adding! Fabulous Michelle, I love your recipes. This is going to be SO useful, I can’t wait to get cooking! Hi, not sure what went wrong but I couldn’t get mine to work. I have a link to my home page, (i used all the same image to test it) but it didn’t work. Thank you for taking the time to write this code! I got it working on my site. It looks great displaying all my certifications. Mine does seem to jump back to the beginning. Any clues on how to make it a smooth transition or is that just the way this works? Nope it should be a nice smooth continuous scroll, likely you have got the values wrong in the variables but without a link its impossible to say. I just have a little question, how can I reduce the size of images ? Thank you Michelle! What amazing work! I’m learning so much with you. Could this code be modified to manually use the scroll on the mobile without the animation? I’m showing web site examples and want the images to be larger. Do I use fewer images across? This is a great addition to your original post! Thank you! One question – i set the speed to 60 seconds and it’s still a little too fast. I have a ton of modules (78 total). Is there a way to make it even more slower? Yes, just keep increasing until you get the speed you want, 60s is 60seconds so try 120s etc. Is it any possible modification to CSS that don’t stop the scrolling when hover over the items? fantastic! I have looked all over the web for an easy solution and you have provided. Appreciate all your work and thanks! Awesome tutorial but is it possible to have a scroll icon on both sides? like a testimonial slider. I’m sure the problem is not your code because the same problem happens if every CSS code I try and I’m getting very frustrated. Have any idea what’s going on? Sorry to ask this you already give a huge help written this tutorial. this is very nice work! thank you! Is it possible to get the items to scroll in the opposite direction? Michelle, that was some awesome CSS wizardry. Great tutorial, and as advanced a CSS user as I am, I learned some new stuff. Thanks and you can check the my site out with the scrolling logos toward the bottom.